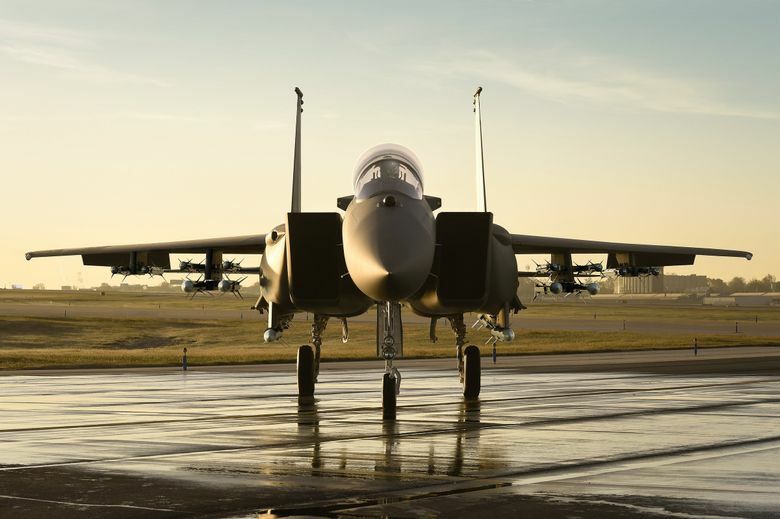 The U.S. Air Force outlined a five-year plan that showed the extent of the Pentagon’s push to bring back Boeing’s F-15 fighter in an upgraded version, a $7.8 billion investment that would jump from eight of the planes next year to 18 each year through 2024. While Lockheed Martin’s newer F-35 would get $37.5 billion over the five years, the more advanced plane would still take a hit. The service now plans to buy 48 F-35s each year from fiscal 2021 through 2023 instead of the 54 previously planned. The letter to Trump and Acting Defense Secretary Pat Shanahan was signed by Republicans John Cornyn and Ted Cruz of Texas, Lisa Murkowski of Alaska, Susan Collins of Maine and Marco Rubio of Florida. The F-35 is built in Texas, and some will be based in Alaska. Northrop Grumman’s new B-21 stealth bomber would get $20 billion over the next five years, with funding jumping from $3 billion in 2020 to $5 billion in 2023. Of the $5 billion, $2.3 billion would be for the first year of major procurement. Space investments for fiscal 2020 include $1.67 billion for space launch and ground service agreements pitting Elon Musk’s SpaceX against United Launch Alliance, a joint venture between Lockheed and Boeing; $1.3 billion for Lockheed’s GPS-III satellites and Raytheon’s OCX ground control station program; and $1 billion for satellite communications programs such as the family of “Beyond-Line-of-Sight” terminals.